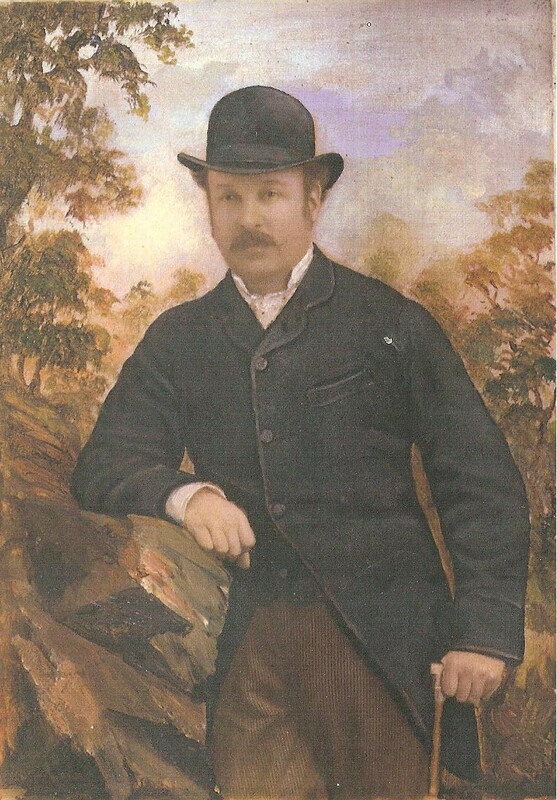 My great-grandfather, Louis Frederick Walford, was born in Hobart Tasmania to Samuel and Rosetta Moses. Samuel and Rosetta were Jewish entrepreneurs who had come with the in-laws, Louis and Harriet Nathan, to build a business in the thriving town of Hobart. When Samuel and Rosetta arrived in Hobart in the early 1840’s with their young children, Rosetta, Alfred and Rachel, the colony had only been in existence just on forty years; it was a very new world! Tasmania had been discovered in 1642 by the Dutchman Abel Tasman, but it was not properly settled until a penal colony was established in 1804. The first Jewish convict to be brought to what was then a God-forsaken land, was Barnard Walford (note the name!) Barnard was originally from Vienna in Austria but had come to join the large Jewish community in London and had then been arrested, tried, and sentenced for transportation after stealing some underwear… what a petty crime, how harsh the punishment! Barnard had arrived in the colony of Van Diemen’s land or VDL as Tasmania was then called in 1807. By the time Samuel and Louis arrived with their wives there was a small but sizeable and well-respected Jewish community in Hobart, with some families living in other parts of the island such as Launceston. Samuel and Louis were merchants and traders and soon had warehouses, ships and a general store. Samuel and Rosetta’s family grew, my great-grandfather Louis was born in 1845, then a succession of brothers and sisters for him, Edward Charlotte, Alice, Henry, Ernest, Lionel and Howard. There were tragedies too, children were born who did not live, children died and ships and their crews were lost. 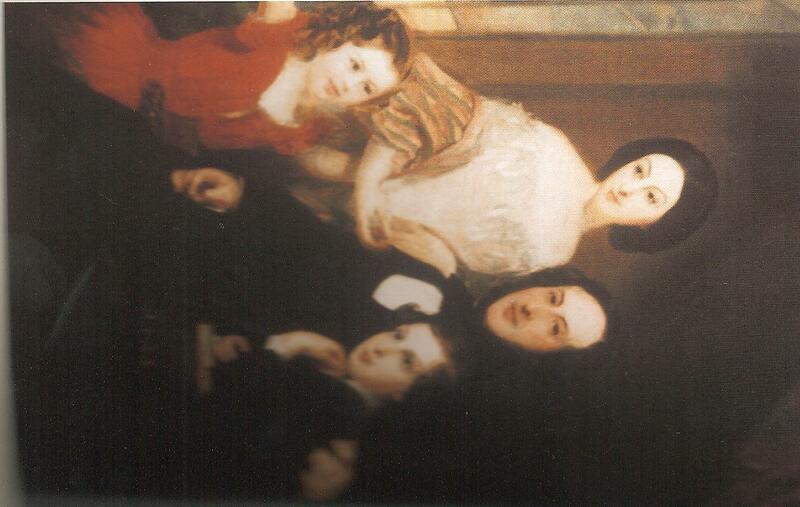 Louis Nathan did not have any children, but he and his wife, Rosetta’s sister Harriet, brought up Samuel’s daughter Gertrude as their own and when they returned to London, Gertrude came with them. Louis grew up in the beautiful mansion of Boa Vista, it was large and wonderfully furnished and decorated with the most expensive and exclusive items of decoration and furnishing. Grand Fete At Boa Vista. On Wednesday night the most magnificent fete, ever witnessed in this colony, was given by Mr. and Mrs. Samuel Moses at their suburban residence, Boa Vista, New Town. The preparations and arrangements for this splendid affair were on the most extensive and elegant scale, and every appliance and means, which wealth could furnish, were lavished with unsparing profusion to render the fete as attractive as possible. The disposal of the fine apartments of the mansion, under the supervision of Mrs Moses, and competent assistants, was managed with much taste and artistic effect. The ball-room, 130 feet by 40, was constructed in the verandah, fronting Hobart Town, and was gorgeously decorated with flags, flowers, evergreens, chandeliers, beautiful lamps, and large mirrors, which reflected in resplendent lustre, the beautiful forms, and objects of art, with which the room was ornamented. Couches and ottomans, covered with crimson satin damask, were placed round the apartment, furnishing an agreeable lounge to those, who did not wish to mingle in the dance, and the effect, when lighted up, was extremely beautiful. The drawing-room is a superb apartment, elegantly and luxuriously furnished, and ornamented with statuettes of Cupid and Psyche, Bacchus & Ariadne, Una and the Lion, the Graces, etc. ; and displaying costly porcelain vases of Dresden and Sevre manufacture. The chairs are of papier maché, inlaid with mother of pearl, and there is no lack of comfortable ottomans. This room opened by folding doors into the dancing room, and was devoted, during the evening, to vocal and instrumental music, at which Mrs. Perceval delighted her auditors by her exquisite performance on the concertina. The dining room is, also, a fine apartment, with crimson velvet furniture, and a sideboard of handsome plate, a considerable portion of which consists of family relics. The family portraits adorn this room, which was used for the temporary refreshment of the guests. Articles of vertu and art, met the eye in every direction, while costly Brussels carpets covered every floor, rendering the whole scene one of fairy enchantment. We now come to the more material incidents of the fete. Cards were issued for between 400 and 500, including his excellency, and Lady Young, Colonel Perceval and lady, the officers in garrison, and, in short, all the elite of our society. Shortly before 9 o’clock, the company began to arrive, and carriage after carriage was heard rattling along the new town road, till, arriving at boa vista, the precious freight was deposited at the gates of the hospital mansion. The military band, i.e. an orchestra erected for the occasion, was in attendance, and when lady young arrived, shortly after 9 o’clock, the dancing commenced. It is impossible that any description, we can pen, can portray the splendid beauty of the scene, which was now presented to our admiring gaze. The spacious ballroom, brilliantly illuminated by myriads of lights; the many lovely forms, and handsome men, the exhilarating music, and the tout ensemble was more like an eastern fairy dream, than the stern reality of everyday life. It is needless to say, that the dancing was kept up with spirit; the unremitting attention, which was paid to the guests, rendered everyone at ease, and unalloyed enjoyment was the rule of the night. It might be expected, perhaps, that we should immortalise the reigning belle in these columns, but, alas!, where so many belles fluttered about in their grace and loveliness, we are at a loss to select any “one bright particular star.” our quotation from Byron has comprised in his own unrivalled language, all that may be said of a scene so beautiful. Time, however, drew on, and yet the dancers flagged not; during a pause, however, sometime about midnight, and at a given signal, a large double crimson curtain, at the lower end of the ballroom, was suddenly drawn aside, and a scene of another kind of beauty was exposed to the view of the company. This was the supper room, already noticed, where was spread a banquet ” suited to the gods on Mount Olympus.” a cross table on the dais, and two long tables on each side accommodated the numerous guests, while every delicacy appropriate to the occasion was provided to superfluity. The wines, imported by the host himself, were choice, varied, and excellent, and the whole entertainment was in admirable keeping with every portion of this very researcher fete. We must not omit to mention a very curious carved wooden Aquarian, of German manufacture: this was placed in the centre of the supper room, and contained gold and silver fish. The dancing was resumed after supper, and continued till between 4 and 5 in the morning, ‘his excellency and Lady Young having retired at 2 o’clock. The most admirable arrangement was made with respect to the arrival and departure of the carriages, and no accident whatever occurred during the evening. The company departed much gratified with the urbanity of their attentive host and hostess. Such reunions as these, we hope, will be continued by our liberal and affluent citizens; as not only calculated to promote sociality in its most favourable aspect, but as impressing a practical prestige on our colonial society. My great-grandfather would have been twelve when this grand occasion took place; would he have been allowed to attend in his best clothes, or would he have been upstairs with the other children, maybe peeping through the balustrades at the beautiful and elegant company below, the richest and best of Tasmanian society. Imagine the sight, more than four hundred of the richest and most influential people in the colony, entertained without a thought to expense and organised so even their journey home in the early hours of the morning was arranged for them. Although he was a Jew, Samuel was made a JP, the first Jewish JP in Australia and he was a much respected and much-loved man, beloved by all. Samuel and Rosetta left Hobart in the 1860’s, my great-grandfather Louis stayed on. 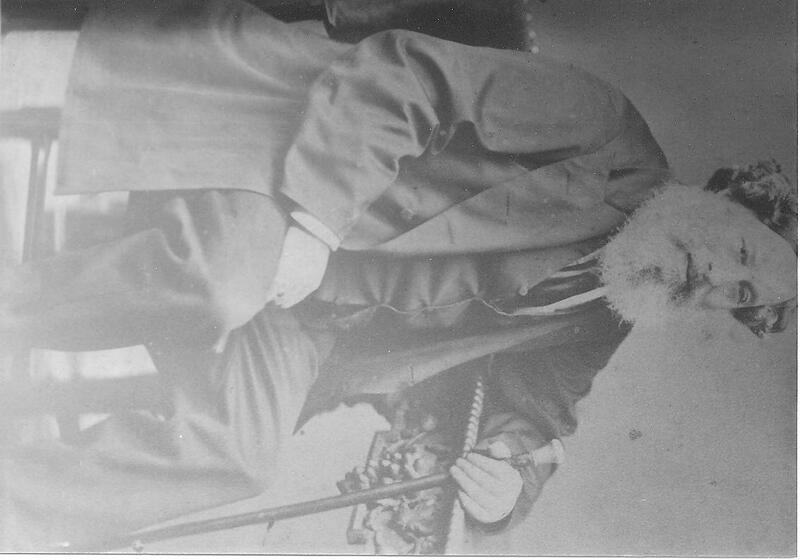 He and his brothers had changed their name from Moses to Walford, a common enough practice for Jewish people in the nineteenth century when despite Benjamin Disraeli being Prime Minister, there was still a great deal of anti-Semitism; Why Louis chose Walford I have not been able to discover; interesting though that the first Tasmanian Jew was a Walford! Louis followed his family to England in the late 1870’s; I wonder what his impressions were of London having lived all his thirty years in the small provincial colonial town of Hobart on the other side of the world?Somehow, somewhere he met Lois, My great-grandmother… and here I am today, named for her! King’s Lynn… is this where the Elsdens first set foot in England? I enjoyed the interesting article regarding your Tasmania relation. Great story. I had some relatives that moved from Norway to Australia. Not sure what the story was regarding sent there for a reason like jail? Will have to research more. Thanks. Thanks Barbro… that sounds a very interesting story to, Norway to Australia! Australia was a British colony at the time and as the British prisons were full and we couldn’t send people to America anymore after the Revolution, we sent lots of our criminals to Australia! Fabulous story. I also love the photographs – it helps me really see the story. Thank you… I wish I had more pictures of Louis… there must be some somewhere, some distant cousin has some maybe. I know what you mean. I wish so much for more pictures of my ancestors. It is even worse when it is the ones which we have none at all of. Names are so important, aren’t they… my sister was named after our other great-grandma. The photos in this post are now viewable… I really have learned my lesson about deleting pictures from the library!